The 21.5" tall Pharaoh's Ion hookah features an innovative quick lock shaft connection. 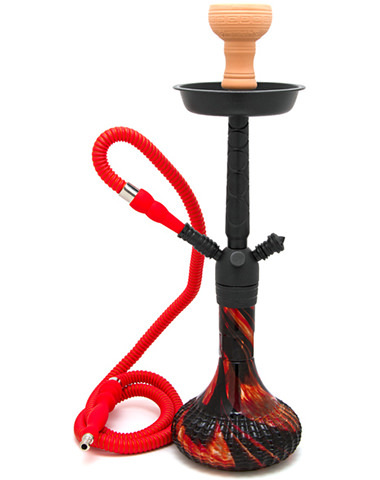 Locking the hookah shaft into place is a snap, and the seal is air-tight, creating some truly massive clouds. The black swirled hookah vase is glass, and wide enough for good stability. 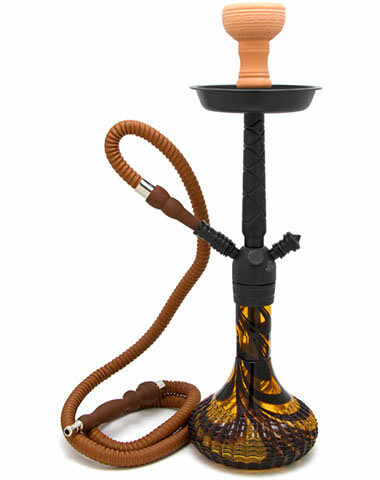 The Ion hookah will also come with a matching hose with metal tip, and a ceramic hookah bowl. 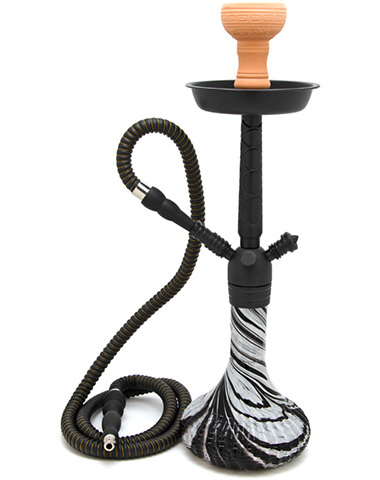 Pharaoh hookahs have a multi-ported hub that can accommodate a one to four-hose configuration. Want to easily and inexpensively improve your Pharaoh's hookah's performance? Add a Pharaohs' diffuser. Note: you must be 18 years or older to purchase this product. 21.5" Pharaoh's Ion Hookah has a average rating of 0 stars out of 5 stars based on 0 reviews.